It will not be long for the first community voice of India to be silenced. For ever. If we don’t act immediately we will become mute witnesses to this enormous democratized. But fortunately we still have one chance. That is if we act swiftly. SANGHAM RADIO, India’s first authentic community radio is on the verge of closing down, permanently. 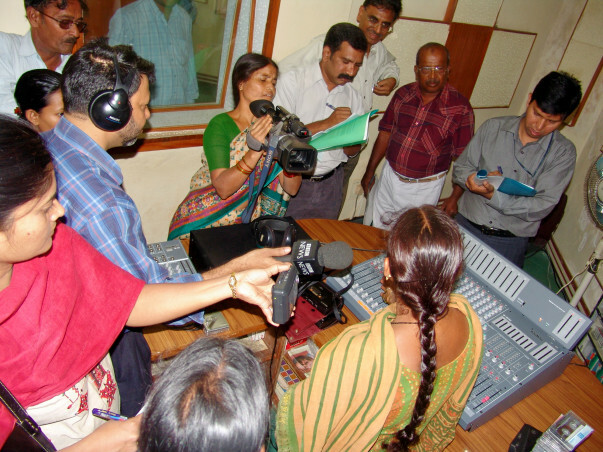 When it was born 20 years ago and was ‘licensed to broadcast’ by the Government of India ten years ago, SANGHAM RADIO heralded a new media space for the under privileged rural peasant women of India. 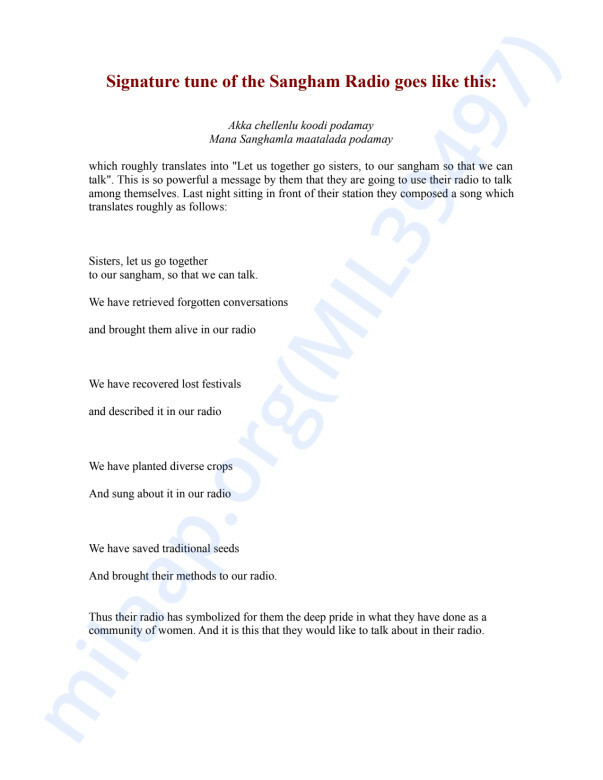 In Pastapur Declaration released by dozens of media activists of South Asia, SANGHAM RADIO was hailed as a revolutionary event on India’s media landscape which had been completely captured by commercial media pushing out the real people particularly marginalized rural women from whatever little space it had occupied till now. 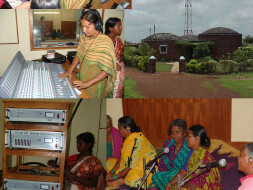 Owned, operated and managed by the peasant women from the socio economic margins of the society who have no space in the dominant media SANGHAM RADIO has become a beacon of hope for under privileged rural communities, women in particular, to articulate and discuss their own lives and issues associated with them. This is also the beginning for these communities of the recovery of their stolen voices. The women members of the DDS sanghams have been regularly contributing to the day to day running of their radio, though it means a crippling burden on their fragile household economy. The Ministry of Information and Broadcasting has strict rules that community radios cannot be supported from international funders. That means that SANGHAM RADIO can get some money for its existence from advertising revenues. Neither the local advertisers or bigger advertisers have shown any interest in advertising on SANGHAM RADIO. From their point of view this is not a clientèle important for them. The Government of India once in a while commissions SANGHAM RADIO to advertise their own “schemes”. But the government has not paid for the advertisements aired and is dues of the government to SANGHAM RADIO over the last three years has totalled to an amount of Rs.3.25 lakhs, a staggering amount for the women of SANGHAM RADIO. Just now the SANGHAM RADIO also faces an emergency. 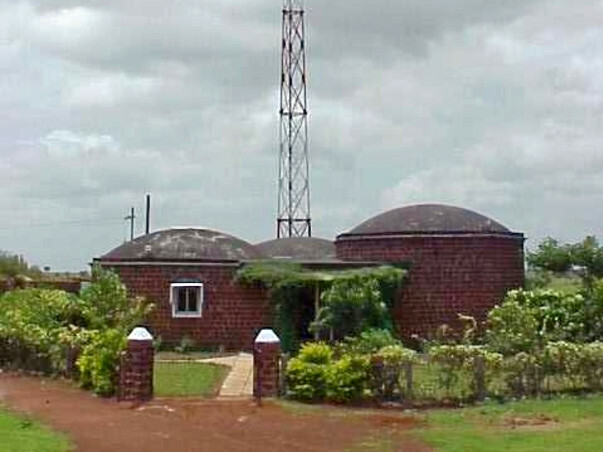 Its transmitter donated earlier by the UNESCO and later bought with some local contributions from a Dahanu based company has ceased to operate. The broadcast which is supposed to reach a radius of 30 kms now barely covers a 3 km radius. Very soon even this may fail and SANGHAM RADIO may be silenced for ever. This is where SANGHAM RADIO needs your support. 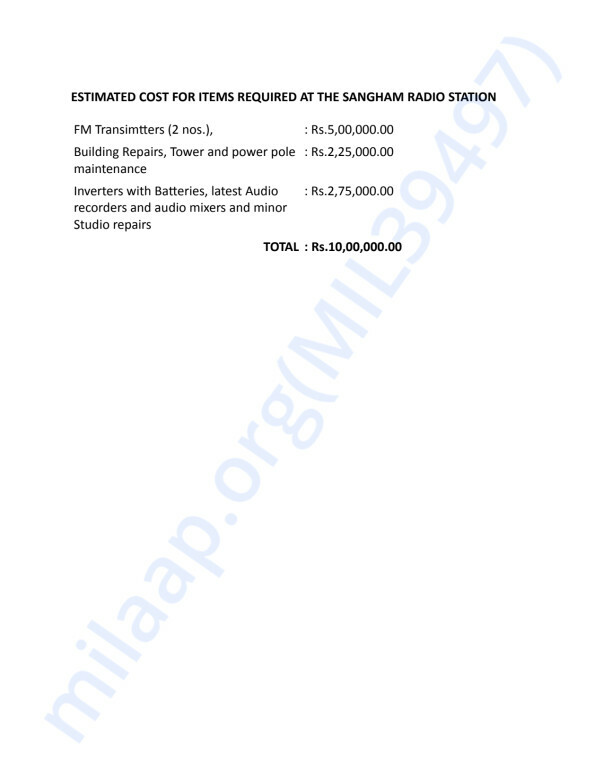 SANGHAM RADIO needs to raise a corpus of one million [ten lakh] rupees . This can rescue it not only from the present crisis but can hold on its own, possibly for ever. Here are the latest updates: We have purchased new transmitter and few more have to be done and are under process. Please keep supporting and sharing the campaign with your friends and family. Thank you for all the love and support. We are truly amazed by the response we have received. Here is an update: We have purchased a 50 Watt FM Transmitter and 2 Polarized VHF antennas for the set-up. Please keep supporting and sharing the campaign with your friends and family. On behalf of Sangham Radio, we would like to express our sincere and heartfelt thanks for your generous contribution. We are truly consoled on seeing you hold our hands in our hard times. Your kind support to Sangham Radio has once again encouraged us to continue broadcasting the needful programmes within our communities and this will help us to continue our mission we started 20 years ago. 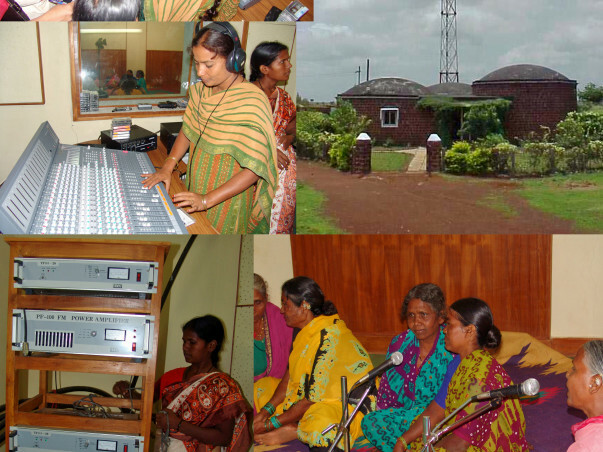 The generous support of individuals like you provides Sangham Radio a secure place where the mainstream media is on its mission to make rural populations slaves to the most damaging content for its commercial interests.